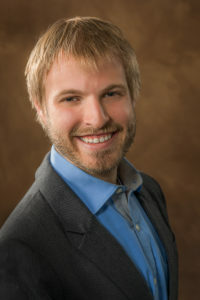 Matthew Swartz, Assistant Director of Clinical Services, is a counselor, therapist, and life coach with PCS-Counseling. He works to combine acceptance and encouragement in a warm, supportive atmosphere to assist his clients in their growth journey. He is exceptionally passionate about working with people who are ready to challenge their worldview and belief systems in order to build the life of their dreams. He employs the most effective therapeutic techniques available, selected based on his clients’ needs and goals, in order to maximize his clients’ possible growth. Matt specializes in working with people looking to lead an extraordinary life. Clinically, he focuses on the treatment of anxiety, grief and loss (especially loss due to suicide and other traumatic grief), young adults, and adjusting to major life transitions. He also has extensive experience working with ADHD, substance abuse, adolescents, LGBTQ identity concerns, and other life adjustment issues. Matt is especially passionate about working with young professionals working to stand out in their career, young adults looking to find direction, and artists looking to design a meaningful and successful life that enables them to live with passion and dynamic creation. Matt graduated with his Masters in Social Work from Columbia University, and received his bachelors in psychology and liberal arts from the Honors College at Michigan State University. Matt returned to Michigan to go into private practice in 2015 after living in New York City for four years, where he worked for several different agencies providing mental health therapy and counseling to many diverse populations and individuals. Throughout this experience, Matt has focused on working to understand his clients where they are at in order to cater his therapy style to the individual and their needs. Matt has been trained in multiple therapeutic techniques, including Cognitive Behavioral Therapy, Dialectical Behavior Therapy, Motivational Interviewing, Complicated Grief Counseling, and Interpersonal Skills Training. He leads two weekly counseling groups focused on different topics to give his clients and other community members the most opportunity for personal growth. Check out Matt’s Profile on Psychology Today – Click Here!